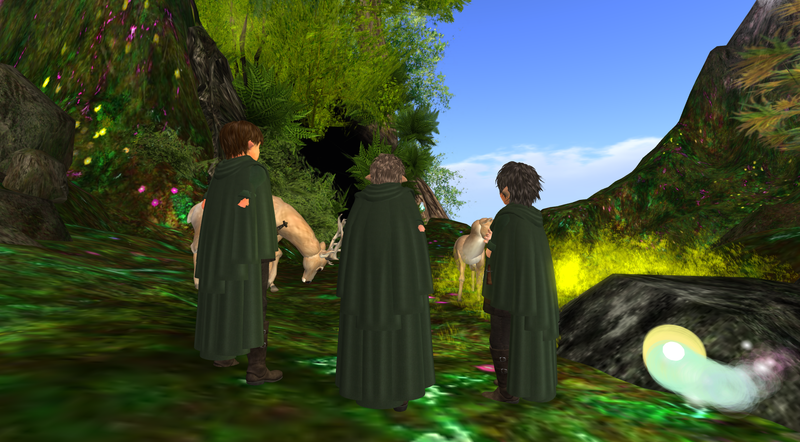 One August day Kris, Maxwell and Skippy explore a magical Enchanted Forest. They meet two friendly deer who explain that there is a herd of unicorns nearby. Kris tells Maxwell and Skippy an old elf legend that, if you whisper your name into the right unicorn’s ear, it will bond with you for life. Can this be true? 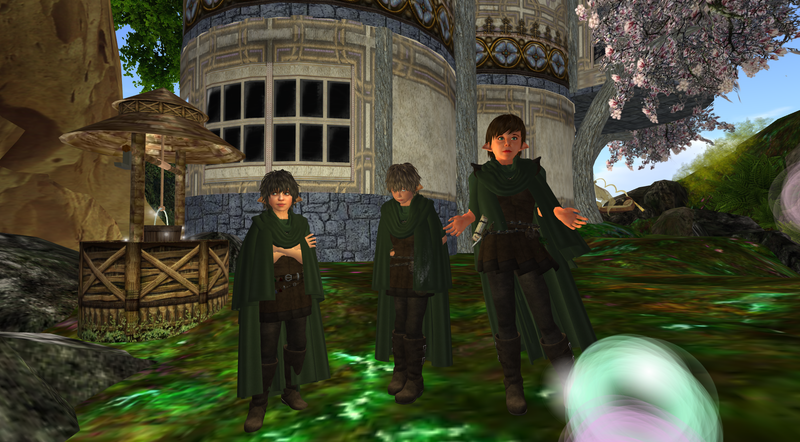 The three elves decide to go and find the unicorns and test the elven legend for themselves. They whisper their names into all the unicorns but with no success. Perhaps it is time to go home? By chance, the three elves discover three baby new-born unicorn stallions hidden in the undergrowth. It was easy to overlook three unicorns that were so small! They whisper their names into the three unicorns’ ears and the unicorns bond instantly. The first flight seals the bond. The three elves return home with their new found unicorn friends, Erendyl, Sparkle and Scout. The old elven tales of unicorn bonding were true and the three elves gain three trusted friends who will help them on future quests. Kris, Maxwell and Skippy arrived at the Lonely Plains and search in vain for the gate to the Swamp of Sadness. The crows explain that the gate is etched into the ground in the form of a path and, to cross it, they must spend one night sleeping within it by the Pit of Loneliness. “But, beware of the three winds!” the crows explain. 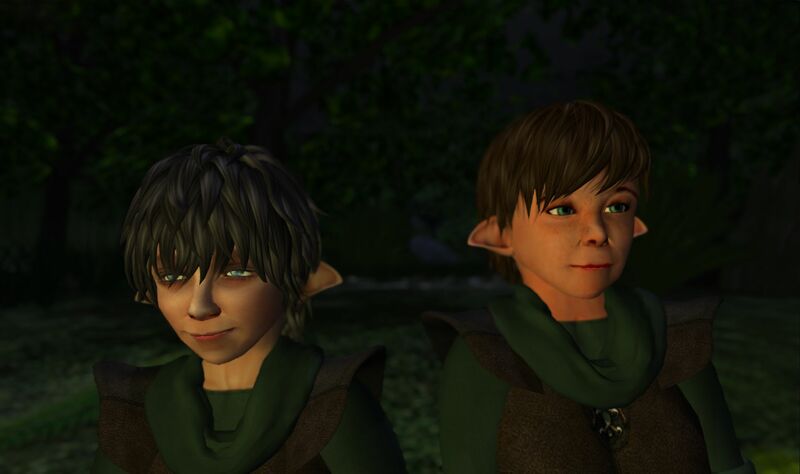 The elves pitch their tents at the Lonely Plains and wait for night to fall. The first wind, The Wind of Loneliness Past, starts to blow and Kris tells a story of ancient Elven folklore to strengthen their souls. The second wind, The Wind of Loneliness Present, starts to blow and Skippy plays a tune of Elven culture to raise their spirits. The third wind, The Wind of Loneliness Yet To Come, starts to blow and Maxwell sings a chant of Elven dreams to aspire the three brothers. Morning breaks and the three winds abate. The elves have survived the night and the gate has opened. Kris, Maxwell and Skippy step out of their tents and find themselves at the shores of the Swamps of Sadness. This is going to be their greatest challenge.